Cherry Rhubarb Pie Filling thanks to Joyful Jars! - Canning Homemade! 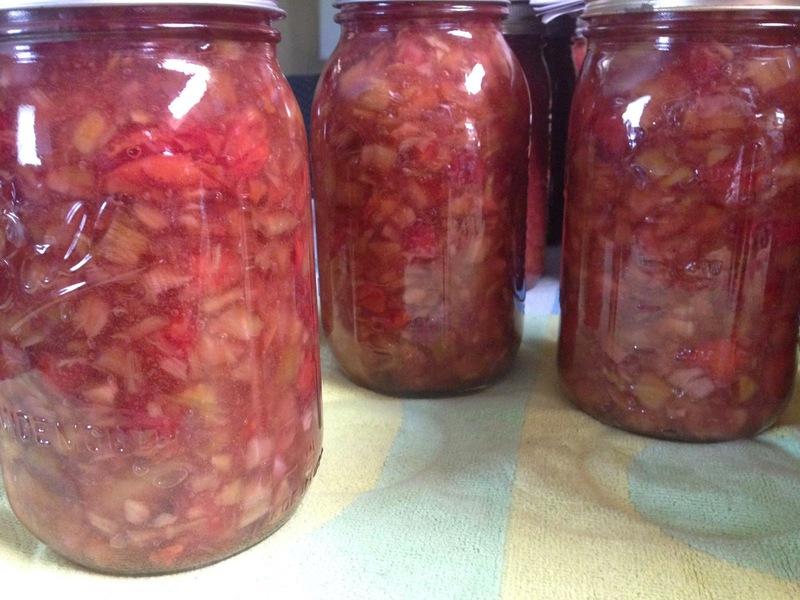 Home » Cherry » clear jel » pie filling » Rhubarb » Cherry Rhubarb Pie Filling thanks to Joyful Jars! Cherry Rhubarb Pie Filling thanks to Joyful Jars! I have been posting to this site for the last five years. I have had amazing conversations and taught thousands how to start the process of canning from the basics to getting those over their fears of pressure canning. One of my earliest followers, Misty, who I call Cookie, took the plunge and using the Cottage laws of Ohio has built a business on the amazing canning that she does. I want to share Joyful Jars with you since it's really a labor of love for Misty. Misty has done it all starting at local farmers markets, harvest festivals, and now in stores local to her area. She is taking this passion further with her own brand jam jars and I couldn't be prouder of her success. Her flavors are original down to the names of her creations. You can purchase one of these jam crocks on her site. Click the picture to take you there! Misty has graciously shared her recipe for the Rhubarb Cherry Pie filling which looks amazing. An adaptation of the Strawberry Rhubarb Pie filling with the emphasis on the Cherry in the recipe. Misty used tart cherries to make this combination and did a full 7 quart batch. Remember you can also fill pints with this filling for tarts, handpies, or other smaller pastry projects. Your water bath timing and headspace will not change. Note: 2lbs equals approximately 1 quart! Preparation: Cut up Rhubarb. Misty pulsed her rhubarb in a food processor to break up the large chunks. Pit your cherries if they have not already been pitted. Set the fruit aside. Cooking: Combine water, sugar, and Clear Jel in a stainless steel pot. Stir using a whisk and cook over medium high heat until mixture thickens and begins to bubble. It will come to a smooth texture. Add lemon juice and boil sauce 1 minute more, stirring constantly. Remove from heat! Filling: Fold in the Rhubarb/Cherry mixture and almond extract and gentle mix till well incorporated. Immediately fill canning jars. Place a canning funnel over the opening of a clean, sterilized quart jar and ladle in the hot pie filling leaving 1 1/2 inch of headspace. Using a plastic spatula remove air bubbles and refill to proper headspace if necessary. Moisten a paper towel and wipe the rims of the jars not leaving any food particles. Center a hot lid on the jar and screw the ring in place until fingertip-tight.